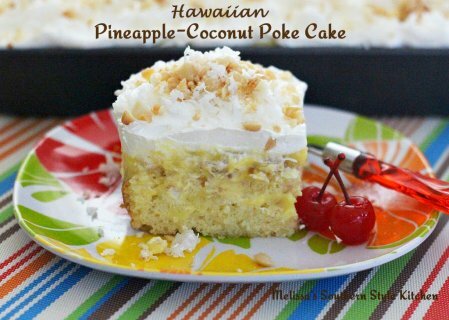 Now, you can get this from a can of coconut cream, but you can also use coconut milk. That’s because coconut milk is not homogenized like dairy milk is and this means that it separates on standing, forming two layers: the fat floats to the top (it is less dense than water) and the water sinks to the bottom. If all you have is a can of coconut milk then you can scrape off the top creamy bit and use that for this recipe. Just don’t shake the can! What is homogenization? A process where milkfat globules in dairy milk are physically broken down under high pressure to form very small droplets that become individually suspended in the liquid to form a uniform emulsion and are less prone to separating out. Preheat your oven to 325°F/165°C. Line an 8x8-inch baking pan with parchment paper and set aside. In a medium heatproof bowl set over a saucepan with 1 inch of simmering water, melt butter and chocolate together. Remove bowl from over the saucepan and stir in sugar followed by the egg until smooth. If using a can of coconut milk, open the can (do not shake) and spoon off only the top portion which is the creamy bit. Do not use the clear liquid underneath. Stir this coconut cream and vanilla extract into the chocolate batter. In a separate bowl, sift together flour, cocoa powder, salt and baking powder and then stir it into the wet mixture until well combined. Pour the batter into the prepared pan and bake until a tester comes out mostly clean with a few sticky bits attached, about 35 minutes. Transfer pan to a wire rack to cool completely. While the cake is baking, make the frosting by heating the coconut cream in a small saucepan over low heat until it comes to a boil. Add chopped chocolate and let stand 3 minutes. Stir until smooth and glossy. Place the pan over very low heat and stir constantly if necessary to melt any pieces of solid chocolate. Let cool until spreading consistency, about 30 minutes, and then spread over cooled cake.